New England Patriots: Break Out The Lifeboats? | NFL News, as it happens, when it happens. Your one stop shop. 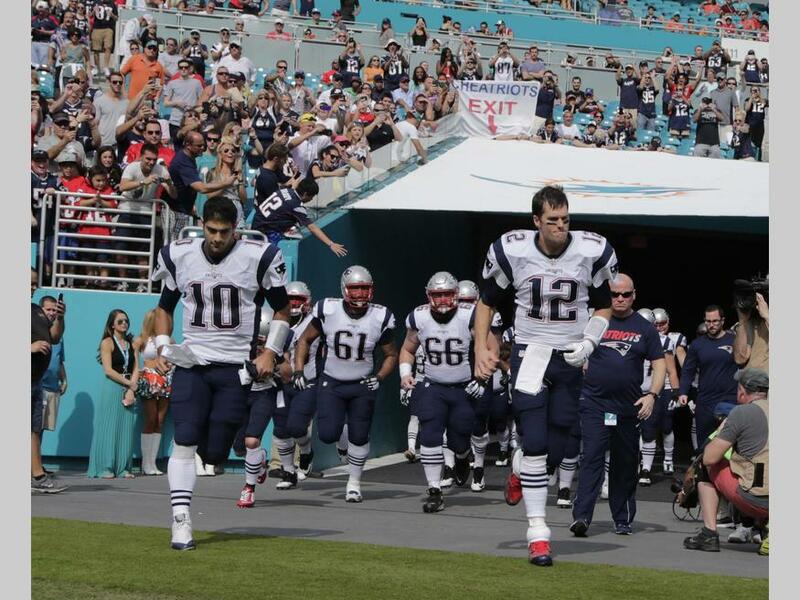 New England Patriots: Break Out The Lifeboats? 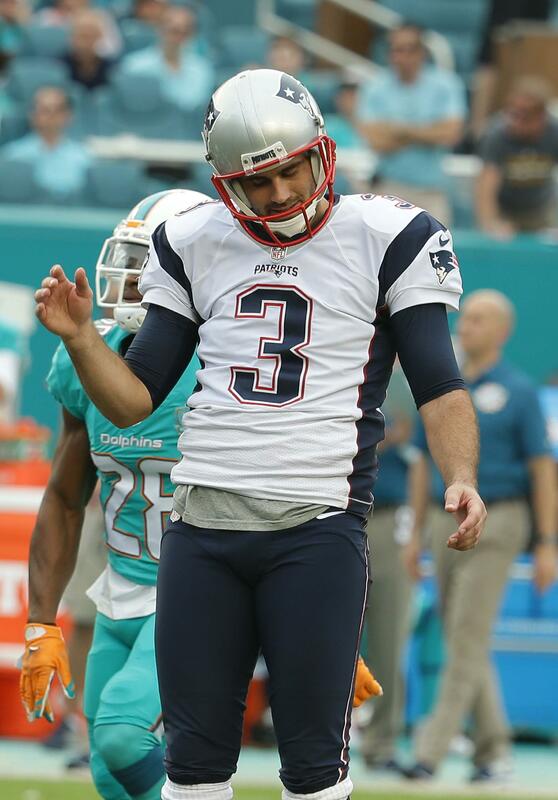 The question is: Did the Patriots stink-up the joint in their last 2 games. The answer is, without a doubt, YES. But it’s not time to jump ship. So, what has been the reaction from fans all over the world? If you read social media after the game Sunday (Facebook or Twitter) a full-blown panic had set in. It was time to get the lifeboats out, because, the number of fans jumping from a “sinking” ship was astounding…and relatively short lived. It’s hard to believe this is the team that started the season 10-0. Well, maybe not the same team, as injuries have decimated what looked like a sure Super Bowl 50 contender. Key players fell in every game, yet somehow the “genius” of the coaching staff, from Bill Belichick on down, was being lauded, as the “next man up” philosophy seemed to be working beyond belief. Hell, even ESPN, the propaganda arm of the NFL, caved in and finally acknowledged what the Patriots and Tom Brady were doing was miraculous. People who always picked against New England were actually debating whether this team could go undefeated. New England’s fan base increased as the wins continued to pile up despite the off-season slander of deflategate. Commissioner Roger Goodell was noticeably quiet when it was announced Tom Brady jerseys had become the hottest product in the NFL. Thank goodness Monday rolled around and the emotions of Sunday’s loss to a terrible Miami team had calmed down. Reality set in. People started to look forward and they had some legitimate concerns. Bill Belichick had the team playing “safe” once they clinched everything but the #1 seed. They didn’t seem to care about the regular season and started preparing for the play-offs. Winning would have been nice, but not critical. Was this a good strategy? We’ll know in a few weeks. win many play-off games with those units. Game planning seemed almost non-existent and players were not playing to their strength, but being plugged in to cover for losses. Coaching was a big reason in all three losses, but even then the team had opportunities to win…right up until Miami. Young fans under 30 have never seen this team look so inept and not seem to care. It was the first time this had occurred during the Belichick-Brady years. There is legitimate reason for concern (not panic). The belief that all will be well when Julian Edelman, Chandler Jones, Dont’a Hightower, Sebastion Vollmer and the rest of the walking (or limping) wounded return is optimistic at best. 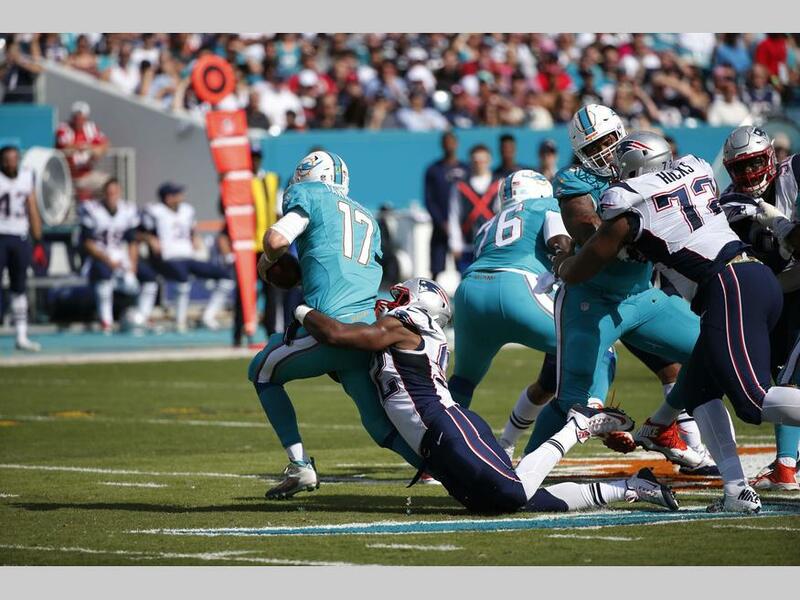 Let’s face it, the offensive line scares the bejesus out of every Patriot fan… on every play. Brady threw just 5 passes in the 1st half Sunday and still got crushed when he dropped back. The OL could well be the Achilles Heel that ultimately brings this team down. The 10-0 start was a little deceptive considering the weak schedule, but, that said, it is still difficult to go 10-0 if you are not very good. The Patriots that started the season had outstanding weapons to confuse defenses along with a young, solid defense of its own. 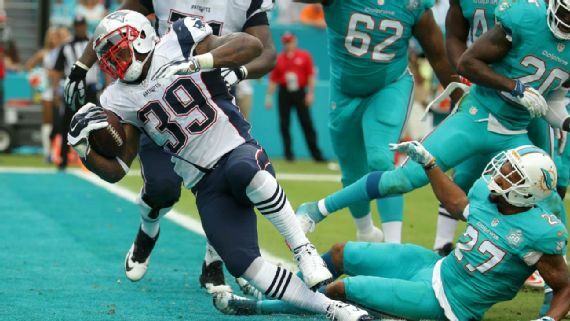 Dion Lewis was far better than Shane Vereen, who he replaced. Brady, Edelman and Gronkowski had established a trust that takes years to develop. The defense was young and aggressive, despite the loss of Darrelle Revis. Injuries are part of the game. They are not an excuse, they are a fact. It’s a game of attrition and, eventually, if you lose enough quality players you just aren’t as good. The Patriots aren’t built for trick plays, yet they continuously outsmarted themselves and it cost them. C’mon guys, a drop kick on a kick-off! Even Tom Brady looked disinterested toward the end. The fire in his eyes wasn’t there when he came on the field the last few weeks. The number of hits he took this year had an impact as the season wore down. We like to call him “Super Tom,” but must be real…it hurts to keep getting hit. Edelman (the most effective punt returner in the NFL) hurt, but it was more than that. Players took bad routes and missed tackles resulting in teams getting better field position. The kicking game remained strong, but other areas seemed to suffer. An almost two-week lay-off between games is a Godsend. It may not be a cure-all, but no one can deny it is desperately needed. The early bye-week was a long time ago and many players are playing tired. New England’s next game will be Saturday, January at 4:35PM (CBS)at Gillette Stadium. There are 3 teams they could face: Cincinnati, Houston or Kansas City. And that Brady comment, my friends, says it all.